If you haven’t heard of Elderberry Syrup yet, you are in for a treat. 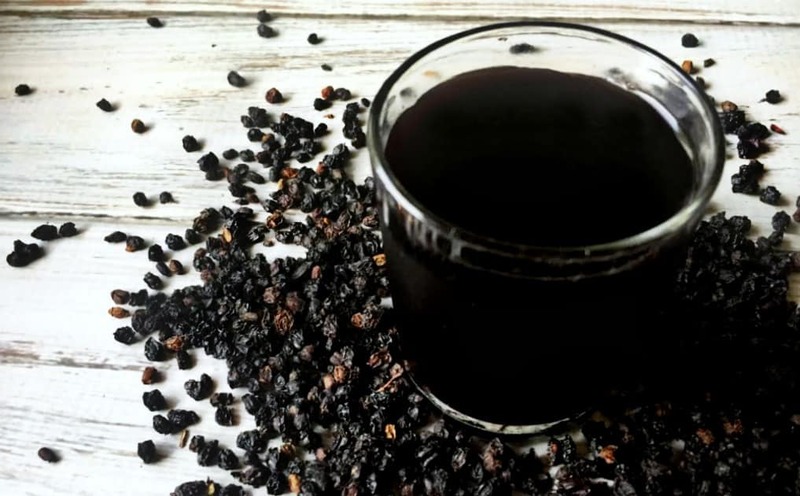 Elderberry Syrup is made from Elderberries (obviously) and is used by many when cold and influenza season comes around. Elderberry syrup has actually been shown to be more effective at preventing the flu than even the flu vaccine! The flu vaccine is only designed to protect against a few strains, Elderberry syrup kills ten strains of influenza. Not only is elderberry syrup an amazing against the flu but it can also be taken if you ever do come down with the flu as its antioxidant and immune boosting properties help protect your body . Elderberry syrup is truly amazing when it comes to influenza and sickness in general. There is one downside to elderberry syrup; it can cost a lot! Many store bought elderberry syrups cost an average of $18.00 for just 8oz. This depends on brands and ingredients of course. Which brings me to another point; many store bought elderberry syrups contain ingredients that I would rather avoid such as sugar, preservatives, alcohol, or glucose. The good news is that there is a way to make sure your elderberry syrup contains only ingredients that you want and save a lot of money. You can save over $15 per batch when you make your own elderberry syrup!!! 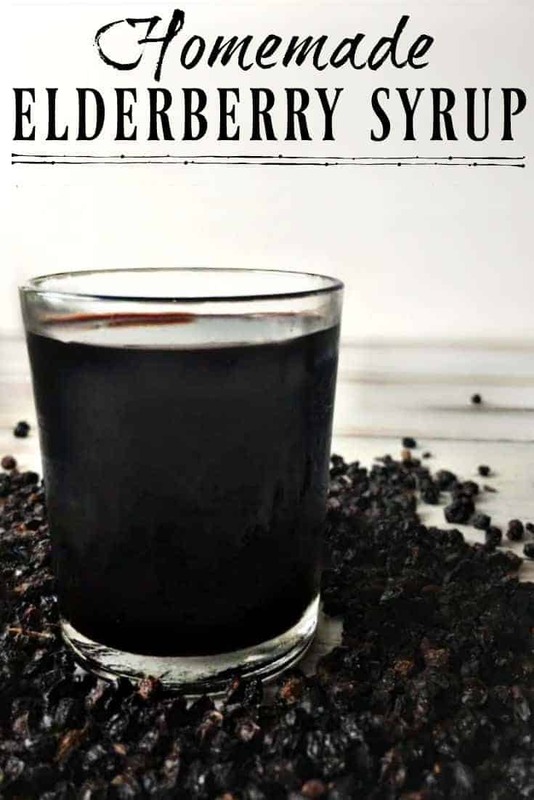 Simply make your own elderberry syrup and when I say simply, I mean simply! If you can make tea then you can make elderberry syrup. Disclosure statement: I am a researching mother and natural living enthusiast. I am not a registered herbalist, naturopath, or a medical doctor and cannot treat or diagnose your afflictions. I can, however, provide you with the research and experiences that I have. Please consult your general practitioner for health issues. Bring water to boil in a saucepan, add in elderberries and reduce to a simmer. Simmer for 30-45 minutes or until liquid has reduced by half. Let the syrup cool and then strain through a fine mesh sieve, cheesecloth, or muslin. Add in the honey once cool and stir. Store your elderberry syrup in a jar in the refrigerator. Alternatively, you can make large batches of elderberry syrup and can them or freeze them in mason jars. Preventative: 1 Tbs/daily for adults, 1 tsp/daily for children over 1 year. Illness Remedy: 1 Tbs/2-3 hours for adults, 1 tsp/2-3 hours for children over 1 year. *Warning: Honey is not safe for children under 1 year. Don’t know where to find elderberries? 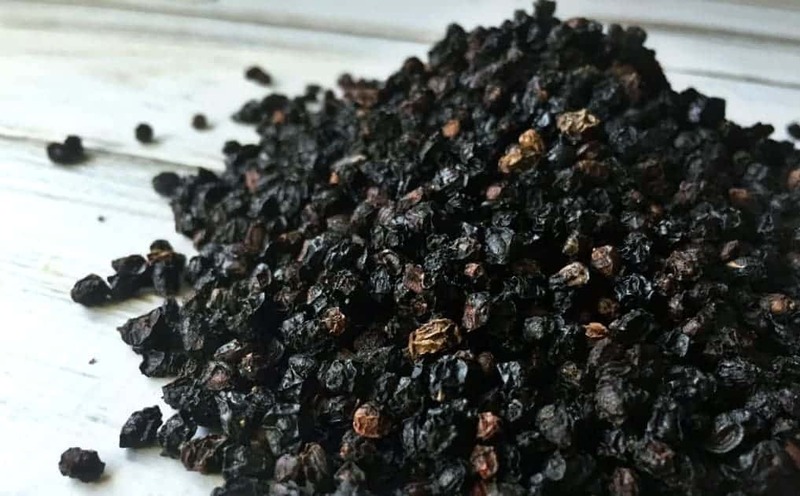 Some people have access to fresh elderberries but for those of us who do not, simple go with dried elderberries. You might be able to find them in some natural stores but if not then you can buy them at Amazon like I do. Wait! Don’t toss those elderberries down the drain! You can reuse them one more time! Another yummy way to get your elderberry in is these super berry blaster homemade gummies from Fit As A Mama Bear. I haven't read much about this but have heard of elderberry syrup some… Just curious if you know much about how safe it is to use when pregnant/nursing. We're not pregnant just yet but are trying and hope to be soon, so I'm trying to be really careful with what I'm putting in my body. Thanks! Can it be canned in a water bath like other things or do you think it would be easier to dry the berries and make as you go? Love your blog, thanks for all of the info! Amy – It should be able to be canned in a water bath just like any other berry. 🙂 So no pressure canner needed. 🙂 Making a bunch and canning it would definitely be more handy then having to make a fresh batch every few weeks/months. 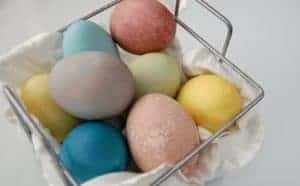 Fabulous, I've been wanting to make some for a long time but just haven't. We recently switched to a new co-op and I would be surprised if they didn't have elderberries as their medicinal section is huge. I should check it out! Thanks so much for posting this recipe! Thanks to your referral to Mountain Rose Herbs, I just received my first shipment of Elder Berries and plan on making a few batches of the syrup. I have made this before for myself and a few coworkers. It works great! I also added 2 tbsp of grated ginger. It adds a nice flavor and feels warm running down the throat. Also helps for an upset stomach. Thanks for the recipe. I really want to try and make this! This is brand new to me but I'm going to try to locate some elderberries. Thanks! I am going to have to make this. I prefer preventative medicine to going to the doctor. I wonder if I can get my kids to eat this? I make a batch of this every year. So great for immunity! My kids love it! You can also hide it in smoothies. Was wondering if I could use something else other than honey…I know honey has all the great properties for fighting colds and flu too….but could I substitute maple syrup or something else and still get good results? Yes, you can definitely substitute a different sweetener. 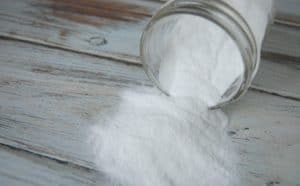 I've used stevia before. I've even made a plain batch because I wanted to give some to my then under 1 year old baby. Turns out my kids liked it without the sweetener even! We use elderberry for viruses and I've wanted to make my own. Thanks for sharing! Thanks for sharing on the Healthy Living Link Party. thanks for this! My grandmother used to give me this as a kid and I've always wanted to make my own, but never knew how. thanks for sharing the recipe! Thank you for this! I've been buying mine and it's crazy expensive!!! I'm going to make mine from now on. Thank you for sharing on the Healthy Living Link Party! I planted some elderberries this year. I can't wait to make syrup next year! I love your recipe for homemade Eldenberry syrup. I love the idea of using the raw honey which adds more healing power to the syrup. I know that it really does help the immune system and it is so natural. Thanks for sharing on Real Food Fridays. Pinned & tweeted! Thanks for linking up at Let’s Get Real Link Up. Is the honey purely for taste or does it add to the benefits? I ask because I don’t love sweet things. Great question! So honey doesn’t have some antibacterial and what not benefits (although some of those might get destroyed with heat and it’s really only raw honey that would have those benefits) but I’d say the honey is there mostly for the taste. 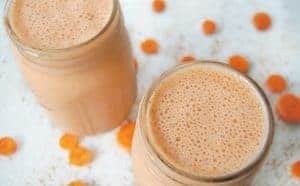 I actually leave out the honey when I make it now because I’d rather not use all my honey and I just pour it into my kids’ smoothies and even if it was given by spoon, my kids still are fine with it unsweetened.